Police & Crime Commissioner (PCC) Martyn Underhill joined Dorset Police’s Rural Crime Team on patrol on 16 March. 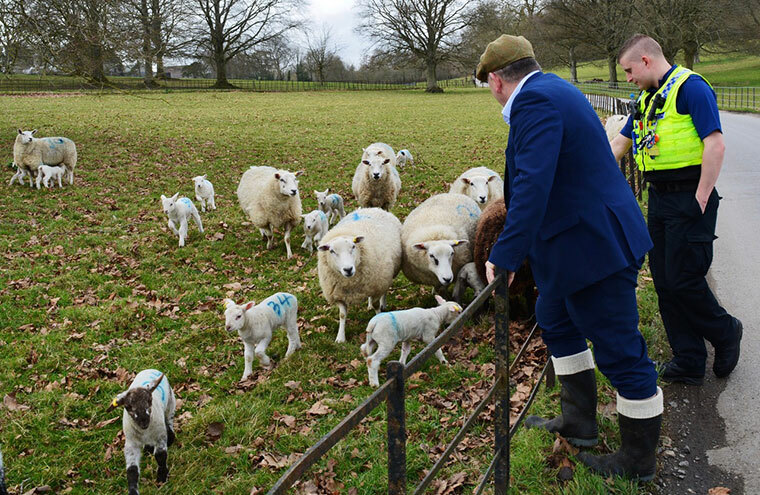 Along with the team, PCC Martyn Underhill made visits to rural locations across the county, including farms at Chantmarle, West Stafford and North Holworth. Made up of a dedicated rural crime co-ordinator, rural engagement officer and a rural crime analyst, the team was launched on 15 August 2016 as a result of a pledge made by the PCC during his re-election campaign. Since then, the team has trained fellow officers, call handlers and radio operators to ensure that Dorset Police is dealing with reports of rural crime consistently and efficiently. Using their particular expertise, the team has provided guidance during investigations, conducted a number of targeted operations to seize property stolen from rural communities and worked closely with surrounding forces and enforcement partners. PC Claire Dinsdale, rural crime co-ordinator, said, “It’s great to have the support of the PCC in raising awareness of the types of crime affecting rural Dorset. Farmyards, farmhouses, barns and outbuildings hold a lot of valuable equipment and machinery ,which appeals to thieves. Isolated buildings pose the greatest risk as they are easy to access without being disturbed. PCSO Tom Balchin, rural engagement officer, said: “As well as working to make important crime prevention advice easily accessible, with the support of our communities we have been building a stronger intelligence picture to pave the way for more effective policing. We have recently charged three people with poaching offences, thanks to a great response from farmers reporting suspicious callers, vehicles and related registration numbers near their farms. To find out more about the Macmillan White Christmas Dip and how to support the event, visit www.whitechristmasdip.co.uk.